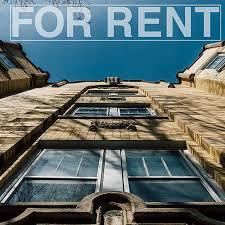 Read your lease – usually you will need your Landlord’s written consent to sublease. Contact your Landlord for information on the subleasing process. Consult your roommates. The lease may require their consent to the sublease. Sign a sublease agreement with your subtenant and keep a copy! Make sure that you include the total amount of rent to be paid, how rent will be paid, beginning and ending dates of the sublease (check your original lease to make sure the sublease ends on or before your original lease!) Give your subtenant a copy of your lease as it is binding on your subtenant. Sublease agreements can be found here. Record a permanent address for your subtenant and do not hesitate to ask for references! Before the subtenant moves in, or receives the keys, collect the security deposit, and first rental payment. Walk through the apartment with your subtenant before they move in and record (take pictures or video) the condition of the unit. Have your subtenant complete an inventory checklist before they move in and keep a copy. You should walk through the apartment again when the subtenant moves out so that you can record any damage they caused during their tenancy. Remember subleasing does not release you from liability to the landlord for acts of your subtenant. You are still the prime leaseholder – if your subtenant damages the apartment, fails to pay rent, or otherwise violates the lease, your Landlord will hold you responsible! CHOOSE YOUR SUBTENANT CAREFULLY! The Ann Arbor Police Department has confirmed a number of scams that target students and landlords via email requests to lease property. Please be wary of perspective renters and subtenants who contact you by email expressing an interest to rent a space sight-unseen. For more information about internet scams or to report suspicious activity, please visit the Federal Trade Commission's website. If you have any questions or require assistance, please call to schedule an intake appointment at (734) 763-9920.